In 1921 a local paper called it one of the most beautiful Spanish homes in Southern California. 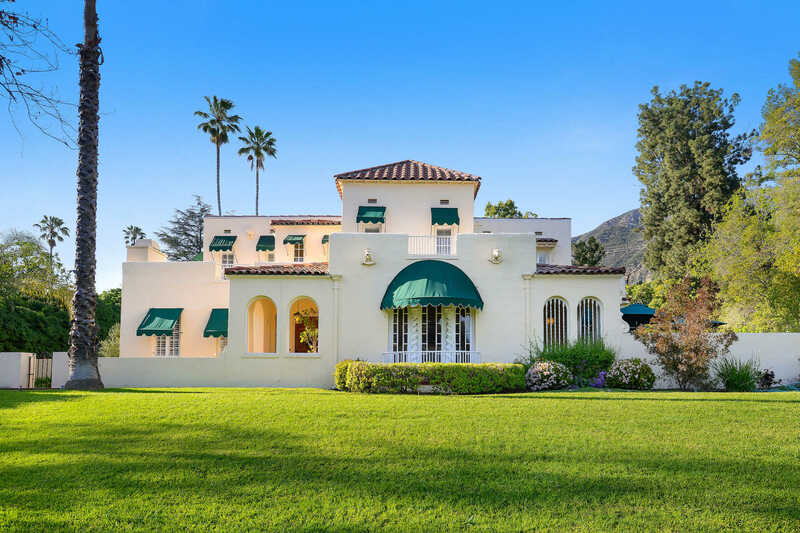 Located in the Country Club Park of Altadena, this 6 bedroom, 5 bathroom home offers the best of todays modern features and the ambience of another era. The house has been updated and beautifully maintained thoughtfully over the years and that quality can be felt throughout. Downstairs boasts an expansive living room with fireplace, hardwood floors, a dining room with French doors that lead to a beautiful side patio and garden, a study, 2 bedrooms (one currently being used as a den), 2 full bathrooms, a charming wine cellar and a gourmet kitchen with views of the sparkling pool and pool house. The upstairs features 4 bedrooms and 1.75 bathrooms. The outdoor areas wrap around the home providing multiple entertaining areas. Details include the original ice box, gargoyles and a gorgeous stained glass dome over the stairwell. All on a park-like 34,951 sq ft lot, where scenic and architectural beauty abounds. © 2019 www.TotalAgent.com - All Rights Reserved.